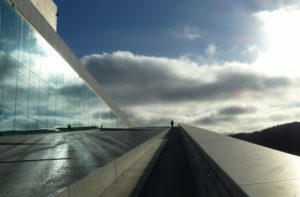 To the many Americans still discovering Northern Europe, here’s this Scandinavia maven’s take on the Top 10 Cultural Highlights in Oslo, Norway’s fjordside capital. Equally impressive, the attractions are listed not by importance, but geographically, from west to east. 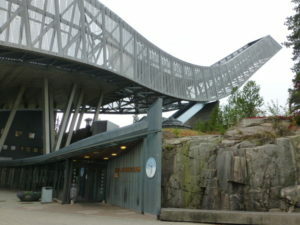 The Oslo Pass (www.visitoslo.com), good for 24, 48 or 72 hours, provides free admission to more than 30 museums. Preorder it online, then pick it up—or buy it on site—at the Oslo Visitor Centre, open daily in Central Station’s Østbanehallen, across from the food court. The pass also offers unlimited free transportation on all bus, tram and subway lines, free sightseeing tours and cruises, plus discounts at various restaurants and attractions. 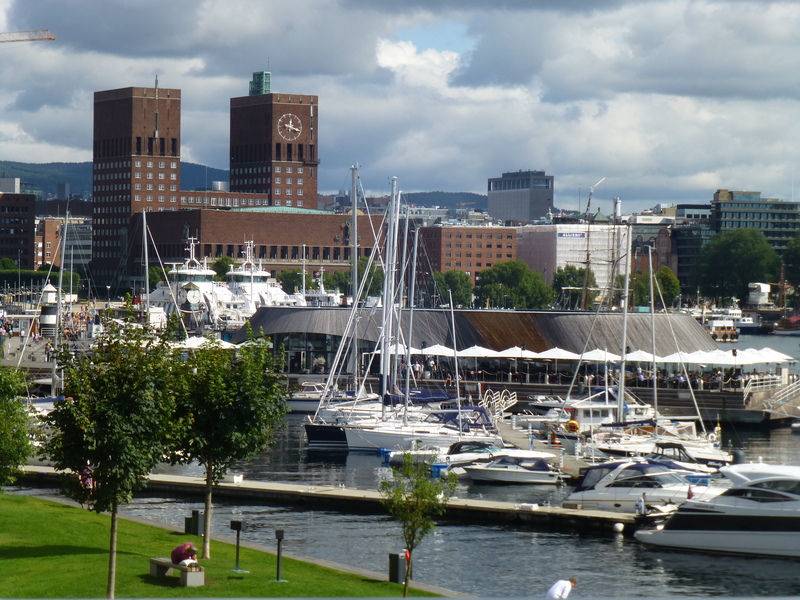 Overlooking the Oslofjord, at the harbor’s western end, is Tjuvholmen (http://tjuvholmen.no), downtown Oslo’s newest major attraction. But Tjuvholmen—pronounced with a silent “t”—isn’t really new. Centuries ago, this cluster of mini-islands was a cow pasture and later a smugglers’ haven known as Thief Island. Today, contemporary-art galleries and trendy restaurants make this one of Europe’s nicest neighborhoods for strolling. 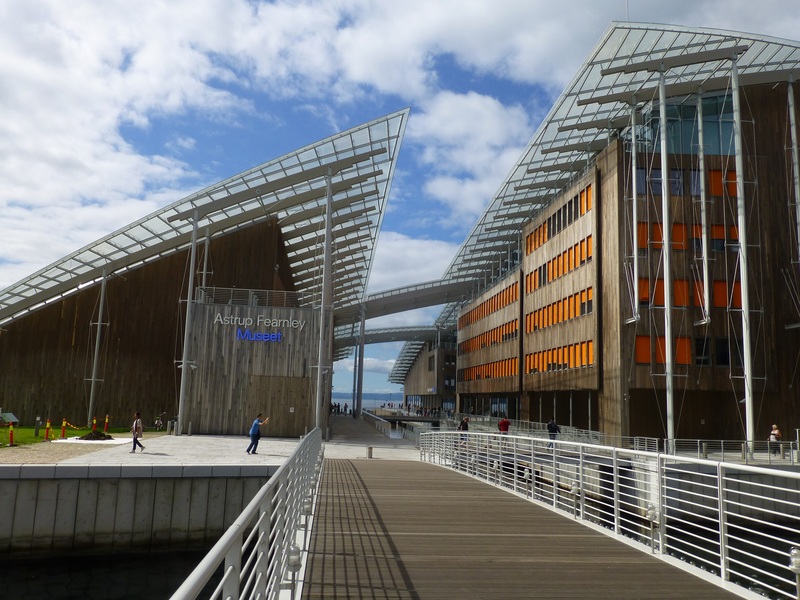 I like to gawk at cutting-edge contemporary art in Renzo Piano’s three-year-old Astrup Fearnley Museum, bisected by a canal and topped with a sail-like double curved glass roof. Outside, there’s a sculpture garden, and a small manmade sand beach and wading pond. Browse galleries along nearby Tjuvholmen allé. Snack at hip Wayne’s Coffee or century-old Bergshaven Bakery. Lunch on pizza or pasta at Olivia Tjuvholmen, or burgers at Bølgen & Moi. Sit down to a swanky seafood dinner at Tjuvholmen Sjømagasin. Or enjoy New Nordic Cuisine made with fresh local ingredients at Fru K in The Thief, an art-filled 2012 design hotel. For a splurge, book the 1,011-square-foot Oslo Suite with a sprawling roof terrace perched high above the Oslofjord. 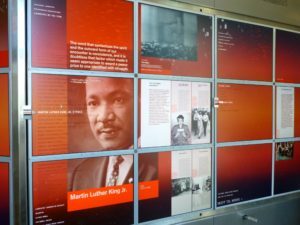 When in Oslo, I almost always stop at The Nobel Peace Center (www.nobelpeacecenter.org). The former train station, in quasi-Oriental style with two square towers and arched windows, is just steps from City Hall, where the Nobel Peace Prize ceremony is held each December. Sometimes I’ll see a special exhibit like the one on 2014 prize winner Malala Yousafzai, the young girl who stood up to the Taliban. 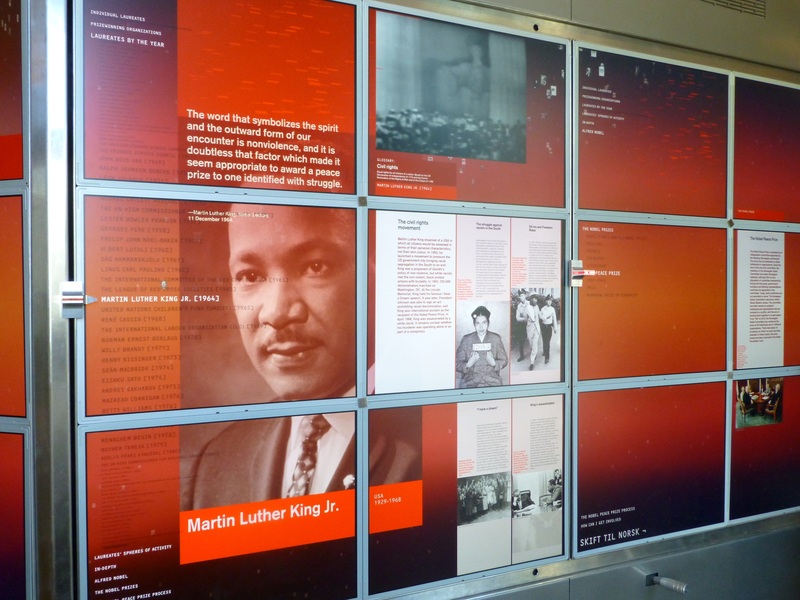 Or I’ll visit the permanent exhibit, with high-tech displays on all the Nobel Peace Prize laureates, including Americans Teddy Roosevelt, Martin Luther King, Jr. and Barack Obama. I might browse through the gift shop, with its imaginative trinkets, and fine collection of books, from laureates’ biographies to musings on war and peace. Or I’ll stop at the center’s café, Alfred’s, for a quick cup of coffee and a pastry. The Peace Center always makes me feel…well…at peace. I emerge light-hearted and full of hope. And, given the well-conceived exhibits, I almost always learn valuable life-lessons. Actually a peninsula, Bygdøy can be reached on a 10-minute Båtservice (www.boatsightseeing.com) ferry cruise across the Oslofjord, April through October. A 20-minute bus ride from City Hall also takes you to Bygdøy’s intriguing small museums. 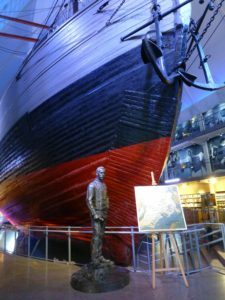 At The Norwegian Maritime Museum (www.marmuseum.no), tracing Norway’s long seafaring history, I find myself lingering, child-like, near the big glass case with scores of precisely detailed model ships. At The Viking Ship Museum (www.khm.uio.no), thousand-year-old Viking ships, huge and incredibly well preserved, leave me awestruck. Equally striking, The Kon-Tiki Museum (www.kon-tiki.no) houses the original Kon-Tiki raft that Thor Heyerdahl sailed across the Pacific in 1947. Towering at the entrance of The Fram Museum (www.frammuseum.no) is the massive ship sailed by famed Norwegian polar explorers Fridtjof Nansen and Roald Amundsen. On a sunny day, I’ll stroll around The Norsk Folkemuseum (www.norskfolkemuseum.no) with centuries-old log dwellings and a magnificent 12th-century stave church. Also on Bygdøy: the high-tech Holocaust Center (www.hlsenteret.no) in the former villa of Nazi collaborator Vidkun Quisling whose last name has come to epitomize the worst in humanity. Nature-loving Norwegians adore sculpture parks. 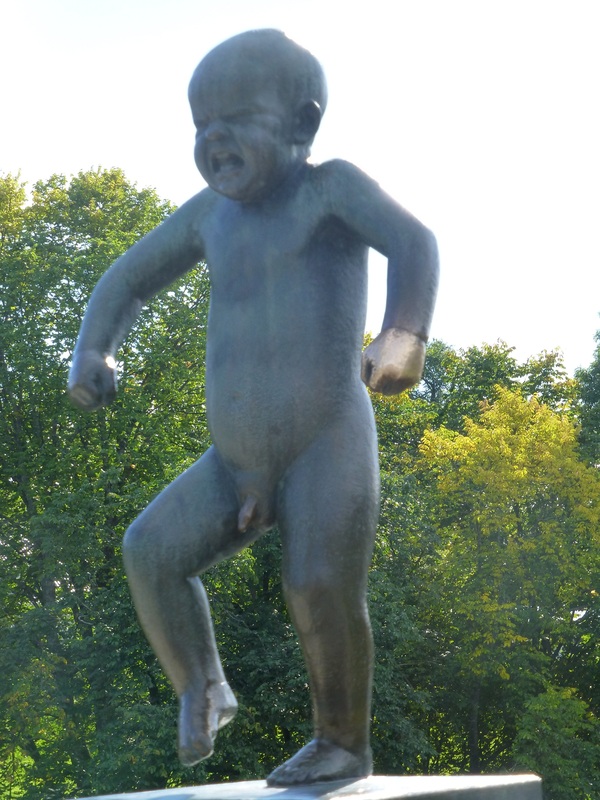 In Frogner Park, The Vigeland Sculpture Park (www.vigeland.museum.no), opened in 1940, covers 80 acres, with sprawling green lawns, ponds and fountains, big leafy trees and shady walkways, plus more than 200 Functionalist-style sculptures in granite and bronze by Gustav Vigeland. The world’s largest sculpture park with works by a single artist, Vigeland was born after the City of Oslo agreed to build a residence and studio for the artist in exchange for his works. The “Circle of Life” is the park’s theme, with sculptures divided into five areas, including The Monolith, topped by a 57-foot-high granite column composed of 121 writhing humans, and The Bridge, whose sculptures include The Angry Boy, famously caught mid-temper tantrum. The Vigeland Museum, the artist’s former residence, is worth visiting, too—if you can tear yourself away from the park’s natural and manmade splendor. After finally taking a Norwegian colleague’s advice, I was amazed at just how interesting Holmenkollen Ski Jump (www.skiforeningen.no) is. On Oslo’s west side, north of The Vigeland Park, Holmenkollen is a pleasant 25-minute subway ride from the center city. Upon arrival, climb a little paved hill, passing the 1894 Scandic Holmenkollen Park hotel with carved dragons growling from the eaves. 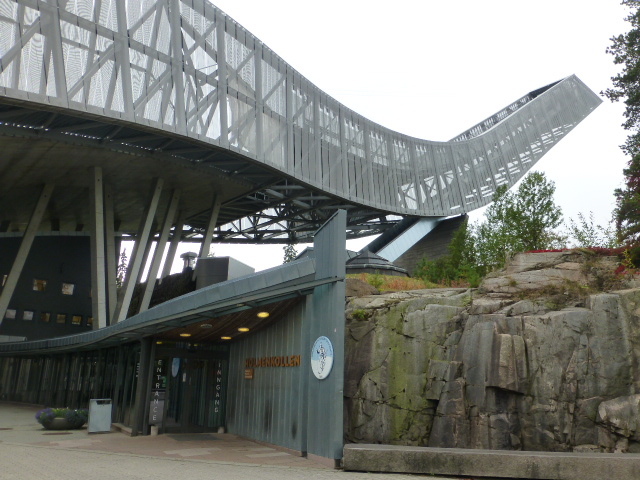 On Holmenkollen’s lower level, the state-of-the-art Ski Jump Simulator thrills some visitors and scares the bejesus out of others. The Ski Museum—the world’s oldest—is a treasure trove chronicling Norway’s 4,000-year history of downhill and cross-country skiing, ski jumping and, more recently, snowboarding. Afterward, ride the elevator up the steel Jump Tower for panoramic views. Adrenaline junkies can abseil, or rappel, off the tower with outfitter Arrcom (https://arrcom.no). Or ride the Fly Holmenkollen (http://kollensvevet.no) zip line. If you love snow sports, you’ll love Holmenkollen. If you don’t, it’s still pretty impressive. 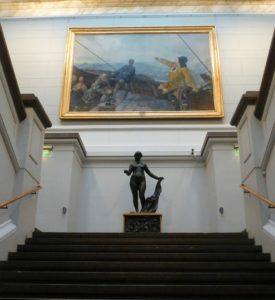 In 2019, the National Gallery (www.nasjonalmuseet.no), Norway’s largest collection of paintings, drawings and sculpture, along with several other Oslo museums, relocates to the new National Museum of Art, Architecture and Design rising behind The Peace Center. For now, The National Gallery is housed in its original 1837 brick and stone building, just north of the harbor. 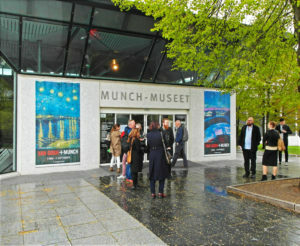 The collection’s high point is The Munch Room, with about a dozen paintings by Norway’s most famous painter, Edvard Munch. Among them are iconic works like “The Scream” and the sensuous “Madonna.” I adore Munch’s modernism, but the landscapes and seascapes by 19th-century Norwegian realists Johan Christian Dahl and Christian Krohg stir my wanderlust as well as my artistic soul. French Impressionist and other international works are here, too, but The National Gallery is the place to get acquainted with 19th and early 20th century Norwegian art. A short walk from Norway’s Royal Palace and The National Theater is The Ibsen Museum (www.norskfolkemuseum.no/ibsenmuseet). Along with the superb modern museum celebrating 19th-century dramatist Henrik Ibsen, author of “A Doll’s House,” “Hedda Gabler” and “Peer Gynt,” there’s the sprawling upstairs apartment where Ibsen spent his last 11 years with wife Suzannah Thoresen. 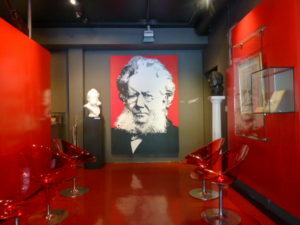 The museum’s choice collection of memorabilia includes the long coat, top hat and cane that the short but foppish Ibsen used on his daily walks through Oslo, various medals he received, playbills and posters, and even the dried flowers that lay atop his coffin after his 1906 death in Oslo. The upstairs apartment, with about 10 rooms, includes a well-furnished parlor, dining room and library. But the centerpiece is Ibsen’s study. 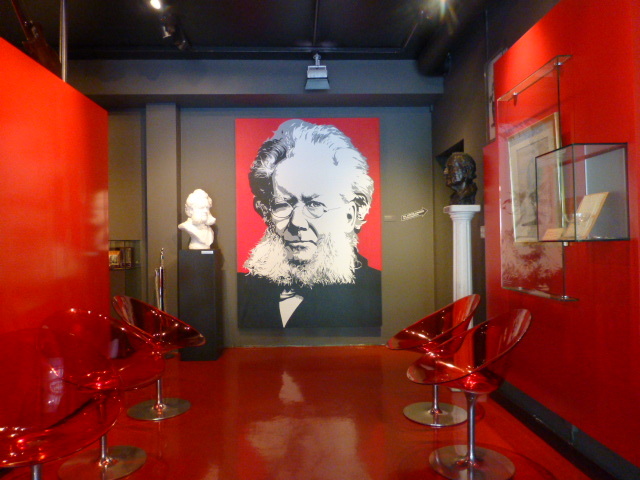 Above his desk, the competitive Ibsen hung a large oil portrait of Swedish playwright August Strindberg, his chief rival. The study overlooks the gardens of the Queen’s Park to which King Oscar II granted Norway’s greatest dramatist a key and the rare privilege of walking there whenever he liked. 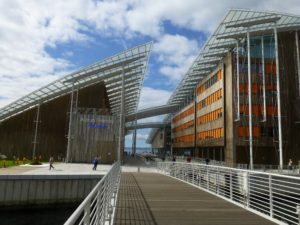 At the harbor’s east end, you’ll find the striking contemporary building known simply as The Opera House (http://operaen.no). Home of the Norwegian National Ballet & Opera, the white granite, Italian marble, and glass structure at the Oslofjord’s edge is often likened to a glacier. Opened in 2008, Operahuset was built by Norwegian architectural firm Snøhetta, which also designed the New Library of Alexandria in Egypt and the Hunt Library at North Carolina State University in Raleigh. Oslo’s Opera House has won several major architecture prizes, including the European Union’s 2009 Mies van der Rohe Award. Come evening, ballet and opera-lovers stream through the doors of the acoustically acclaimed building. And, five times a week, at noon or 1 p.m., visitors take English-speaking tours of the oak-lined interior. But, for me and many others, a special joy is strolling the long exterior ramps to the expansive rooftop for fabulous views of the Oslofjord and surrounding hills on one side, and the new black-and-white high rises of the Bar Code neighborhood on the other. In the hills above The Opera House, The Ekeberg Park (http://ekebergparken.com) includes a sculpture garden, several restaurants, a climbing park, a petting zoo with sturdy Nordic ponies and a natural history museum. Reached from the center city on foot or via tram, then up a steepish but easily navigable walking trail, the park’s crowning glory is its sculpture park. Loosely dedicated to the theme of feminine beauty, sculptures include works by Old Masters like Rodin and Renoir as well as contemporary pieces by the likes of Damien Hirst. 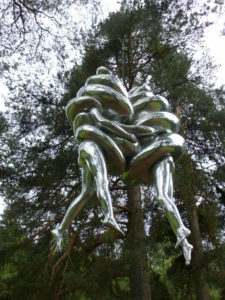 My favorite, “The Couple,” a sensuous 2003 aluminum work by Louise Bourgeois, swings gently from the treetops. Works are scattered through the woods, among the trees, along leafy paths and in a terraced former World War II German cemetery. Stop for coffee, tea and light fare at Lund’s House, the Swiss-style chalet housing the natural history museum. Lunch on Norwegian specialties like reindeer carpaccio and baked cod at Karlsborg Spiseforretning in a yellow wood-frame house with a red-tiled roof. Or dine on New Nordic Cuisine at Ekebergrestauranten in a white 1920s Functionalist-style villa overlooking the Oslofjord. In 2018, The Munch Museum moves into stylish new quarters in the Bar Code neighborhood. Until then, visit The Munch Museum (www.munchmuseet.no) in Tøyen, an east Oslo neighborhood only a 15-minute subway ride from Central Station. Norway’s greatest artist, modernist Edvard Munch is best known for “The Scream,” depicting an angst-ridden human running across an Oslo bridge. But, during his long career, the painter and printmaker created thousands of portraits, self-portraits and landscapes, experimenting with styles like Naturalism, Impressionism, Pointillism, Symbolism and Fauvism. Unifying Munch’s vast body of work is the artist’s preoccupation with the human psyche, with issues then being explored by Austrian psychotherapist Sigmund Freud and other contemporaries. Today, The Munch Museum houses the world’s largest collection of his works—more than a thousand paintings, 4,500 drawings and 18,000 prints—including two versions of “The Scream.” At The Munch Museum, you’ll not only feast your eyes on scores of stunning works, but plumb the artist’s depths and commune with his singular genius. 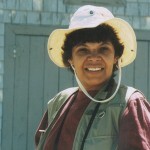 Monique Burns is a longtime travel writer and editor, and a European Correspondent for Jax Fax Magazine, a travel magazine for U.S. travel agents. A former Travel & Leisure Senior Editor, she travels frequently to Europe, but can sometimes be found in far-flung locales like India and Asia. After more than 30 years in the travel business, she still appreciates the world’s many cultural differences and can honestly say that she’s never met a place she didn’t like.